Soon it will be time to call Parson Brown again. "Bring Your Child To Work" day is catching on. Larry didn't know where the hamster was. Why eat less when you can wear more? Get your Stove Top Thanksgiving dinner pants today! If you make one of these make sure you wash it often to avoid the transmission of germs. Ben was sure this was the corporate retreat he'd earn his promotion at. On second thought . . . LET ME IN !!!!!!! Because cremation is not for everyone. It's no croc to say that this is a weird tan. You might be the youngest kid if . . . . In hindsight, the lower quote wasn't the best deal. Apparently, Marie Antoinette is giving driving instructions now. I said I wanted a "CHEAP" kitchen. This airport has a runaway. "Hi, this is the shop calling. It turns out your truck also needs an alignment." 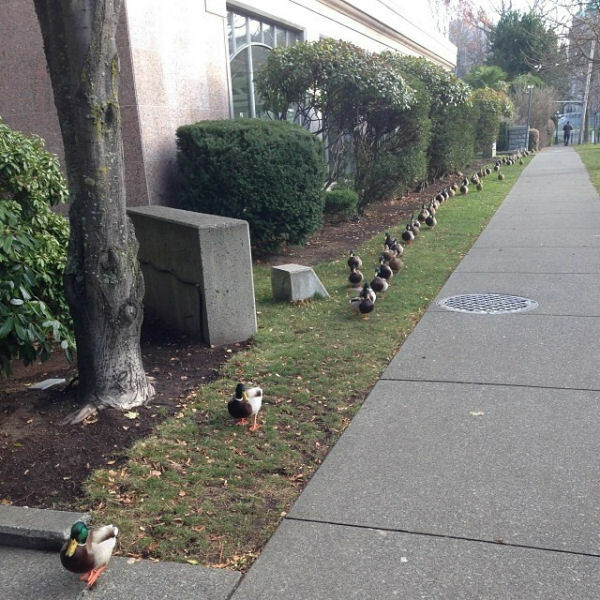 Jesse could sweep the sidewalk now that he had his ducks all in a row.